It seems early for the year, but I received my second call for bird removal yesterday. I usually start getting these calls in the late winter and throughout the spring, but I’m always happy to assist amidst the never-ending downpour. Birds aren’t stupid. They don’t like rain and cold weather any more than we do, and out in the cold is not the kind of place they want to raise a family in. The economy is terrible, even for birds, and they are on a strict budget too. Finding a warm and dry shelter is priority one, but a rent free place? Ideal. That’s why up under the eaves or in the attic is like moving on up to the east side, literally into a deluxe apartment in the sky. Usually birds like to enter through the attic vents. 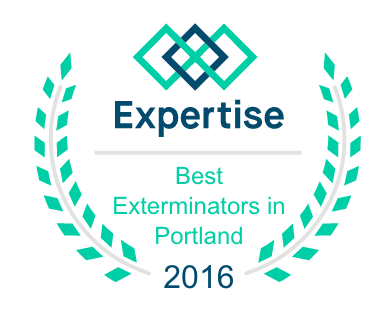 See Bird Removal. 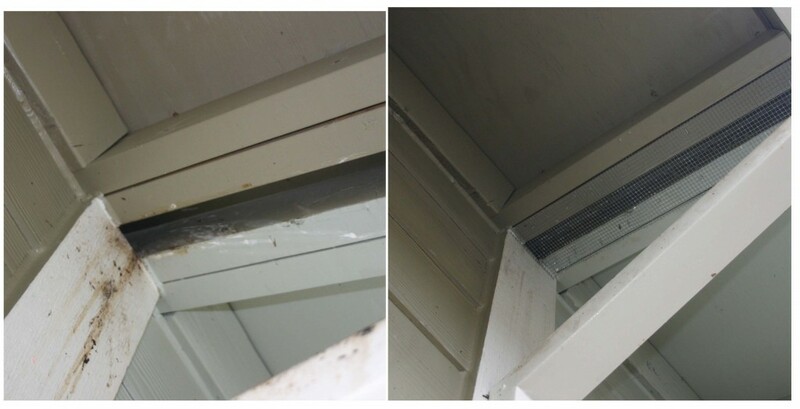 The screen used to keep pests out is ridiculously thin and usually only held together with a few staples. This photo shows a slightly different scenario. The two colors show different units of a townhouse complex. These birds were entering the attic through a gap between the townhouses. The builder thought it safe from moisture, but the birds struck gold with this find. Well–until I arrived. I served them an eviction notice, boarded up the entry points with galvanized hardware cloth, and finished by cleaning as much of the feces as possible. We don’t hurt the birds in any way, but they need to find somewhere else to lay their beaks. Not only are birds rude for squatting in our dwellings, their cleanliness leaves a lot to be desired. No consideration for where to use the bathroom, at all. It gets everywhere. The stuff is not exactly healthful, and their nasty, poopy nests attracts other pests like bedbugs and carpet beetles. When you look at it this way, birds are jerks. Bird jobs vary from house to apartment to office building, so an inspection is necessary for pricing and is based on level of difficulty, heights, the slope of the surrounding property, and time.